I started the month hosting the Maxcap Developer and Dealers Forum at Zinc (great venue) in Melbourne. Former Prime Minister The Hon Paul Keating was our special guest. Brilliant mind. The years have certainly not dulled his razor sharp wit and geopolitical insights. I was in Brisbane hosting the JCB Construction Conference, Sydney for the Chep Brambles Awards, Queenstown New Zealand for Hardies (with legendary All Black captain Justin Marshall), Wilson Asset Management 20th Anniversary at the Art Gallery of NSW, the Holcim Australia/NZ Awards, and a memorable event in Campbelltown to bid farewell to the retiring Bishop of Wollongong. 500 plus of Bishop Peter Ingham’s flock turned out at this excellent event. A man of great class, wit, and intellect, Bishop Ingham is exactly the kind of person the Catholic Church needs. The Humpty Dumpty Foundation raises money to buy medical equipment for children’s hospitals. I have a long association with it’s founder Paul Francis and it’s many fundraising events. 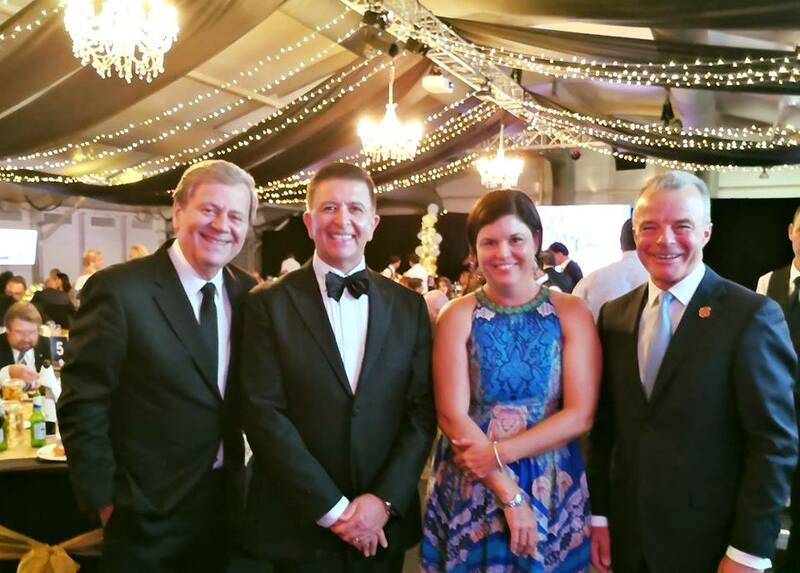 Humpty is spreading it’s wings into the Northern Territory and in March I travelled to Darwin with Patron Ray Martin, and guests Derryn Hinch and Dr Brendon Nelson for a brilliant black tie event at the Sky City casino. The fundraising greatly exceeded expectation. Well done Paul! For the 3rd time I hosted the Marist College Ashgrove Champagnat Trust Sports Lunch at the Brisbane Exhibition Centre. This school punches way above it’s weight in promoting and funding causes and sharing the privilege of elite school education to the needy. Some of Australia’s most famous sports stars are old boys of Marist Ashgrove and many were at the lunch. The school’s capacity to put on an event would put NRL and AFL clubs to shame. A fantastic audience of over one thousand were in attendance. My March highlight however is always the annual Posh Ball for the Cancer Council of NSW. I have now hosted this event at the Westin Hotel Sydney for 19 consecutive years. (Talk about pressure to have new material!!!!) In my humble opinion this is the best organised charity event on the calendar and the Posh Committee do an astonishing job of producing a first class glossy program and sourcing some of the most incredible auction items in the world. We are talking Chalet holidays in France, Napa Valley Wine tasting, top shelf media advertising packages, and even a dinner with Vince Sorrenti! (sold for $11000 this year). 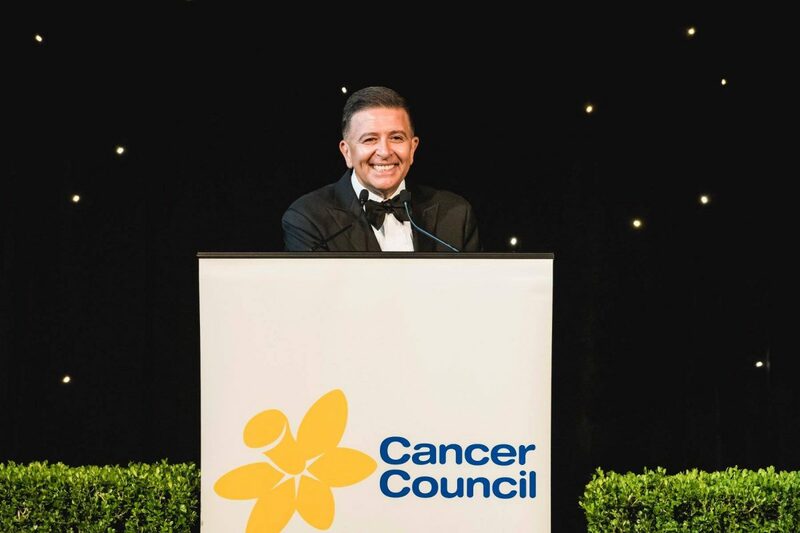 This year’s theme was ‘La Dolce Vita’ and over $1 million was raised on the night for cancer research.